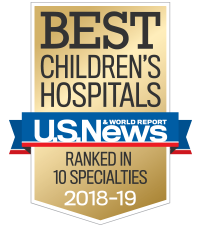 Ask any patient or family about the friends they’ve made during their time at Children’s Healthcare of Atlanta, and a child life specialist is likely to be at the top of the list. Tasked with educating and shepherding pediatric patients and their families through challenging medical experiences, our child life specialists are just that—special. Armed with an educational background in child development, psychology or counseling, child life specialists play a critical role in supporting the emotional needs of a child and his or her family. Being a kid in the hospital is not easy. Our patients undergo anesthesia and chemotherapy, receive organ transplants and blood transfusions and learn to walk with prosthetic limbs. Child life specialists take the journey alongside our patients to help reduce fear, pain, stress and anxiety. Through preparation, educational play and therapeutic interventions, they help our little warriors understand what is happening to their bodies, empowering them to regain some control amidst seemingly uncontrollable circumstances. Every situation is different. Some patients are shy and confused about why they’re in the hospital. For these patients, a specialist may simply stay by their side and provide a comforting face during scary appointments. Some families may experience the loss of a child. A specialist will support siblings during this time, making sure they understand and feel safe asking questions. Other days, specialists create spaces of comfort for teenage patients, allowing them time to share their experiences and find solace in community with one another. Sometimes, specialists meet a child at the beginning of their journey at Children’s, greet them after their very first appointment and remain with them throughout their treatment. They become friends and confidants, sources of love and support. Amanda and Halle, a sickle cell patient, and Ellie and Kaitlyn, a liver transplant patient, are two such pairs—two examples of the way child life makes Children’s the special place it is.